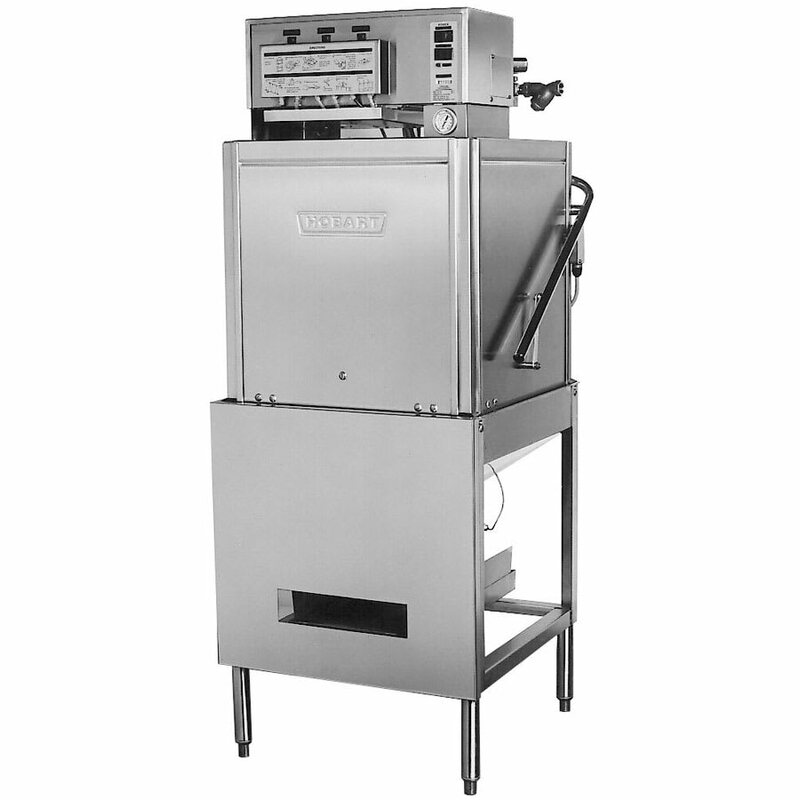 The Hobart LT-1 dishwasher can wash up to 37 racks per hour and uses only 1.7 gallons of water per rack. As a low temperature dishwasher, it operates at 140° Fahrenheit, and thus does not require an expensive booster heater or a high voltage electrical outlet. By retaining the rinse water and using it during the next wash cycle, the LT-1 is able to reduce water consumption. 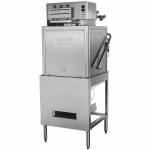 This Hobart dishwasher can convert between straight line and corner operation. Washes 37 racks per hr.